Ivanohe just about to land on the Emergency Landing Strip after Packsaddle NSW. 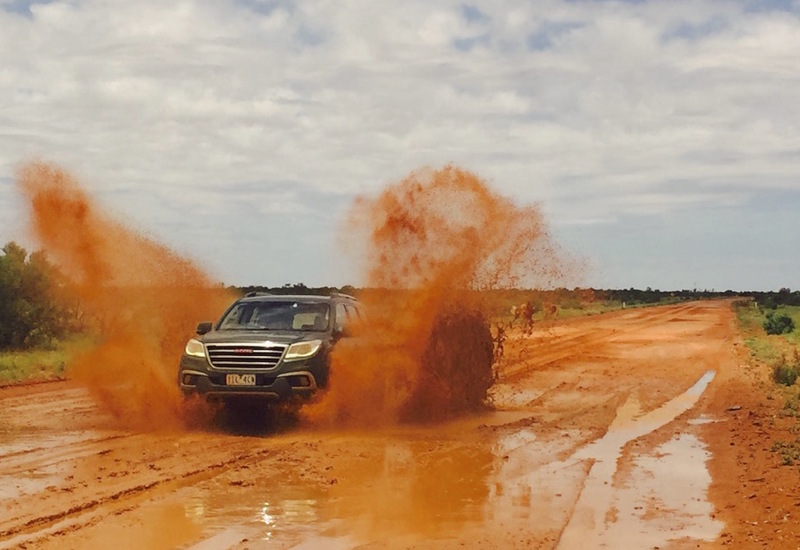 This is Part 3 of our adventure to the middle of nowhere Australia with a Haval H9, which we baptised Ivanhoe. See Part 1: Melbourne to Mildura here and Part 2: Mildura to Broken Hill here. We are now saying goodbye to Broken Hill, and that’s not easy because every inhabitant we got to meet showed us loads of kindness and generosity. It is now time to go into the unknown. I have never travelled on the road north from Broken Hill before. We now it has rained copious amounts until a few days before we engage but all dirt roads are open at this stage so we are taking the bet. Our itinerary for Part 3 of this trip is 100% desert. We are leaving Broken Hill in the hope of reaching Cameron Corner tonight as today is December 31st so the NYE celebrations are, well, tonight. Yet the speediness of our progression will rely solely on how good (bad) the dirt roads are, or even if they are passable in the first place. Stunning sunshine as we leave early in the morning to give ourselves the best chance of arriving at our planned destination by sunset, so even a puncture shouldn’t impact on our timing too much. Ivanhoe’s odo indicates 5.050km, that’s just under 1.000 km since our departure from Melbourne. In Packsaddle Packsaddle Roadhouse – and the only building in town. 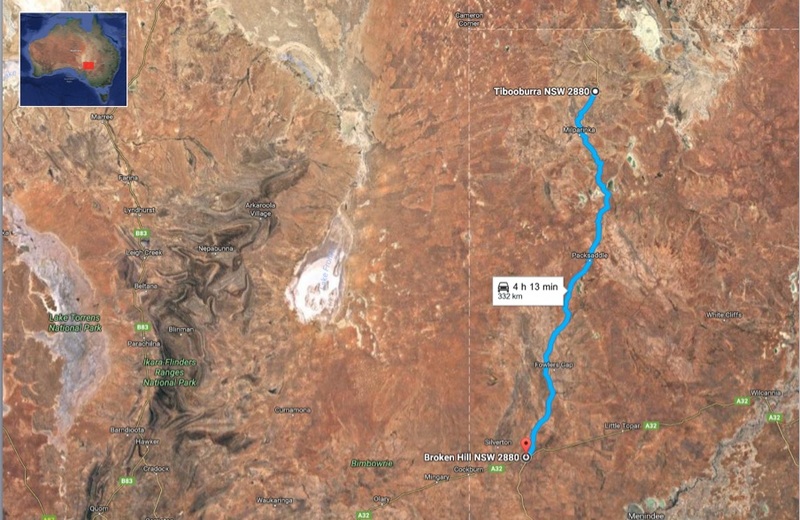 The good news is the road is sealed all the way up to Packsaddle, the only building/pub/servo – I cannot say town on this occasion – on the way to Tibooburra at a mere 174km (!) north of Broken Hill. I have used the time since Broken Hill as a passenger to update BSCB, so weirdly I feel I have just been tele-transported into Packsaddle. My question of whether there is wifi in the pub is met with raised eyebrows as I swallow my words. Thankfully, the Telstra phone network is available here – my co-drivers, not on Telstra, and couldn’t get any signal – so my updates could go ahead. This series is not supposed to be an ad for Telstra, but when you hit the Australian countryside it sure is the only network left available when others fail. Talk to any countryside Australian and they will agree. We are not leaving Packsaddle without fueling up both our 20L jerrycans as well as the tank. 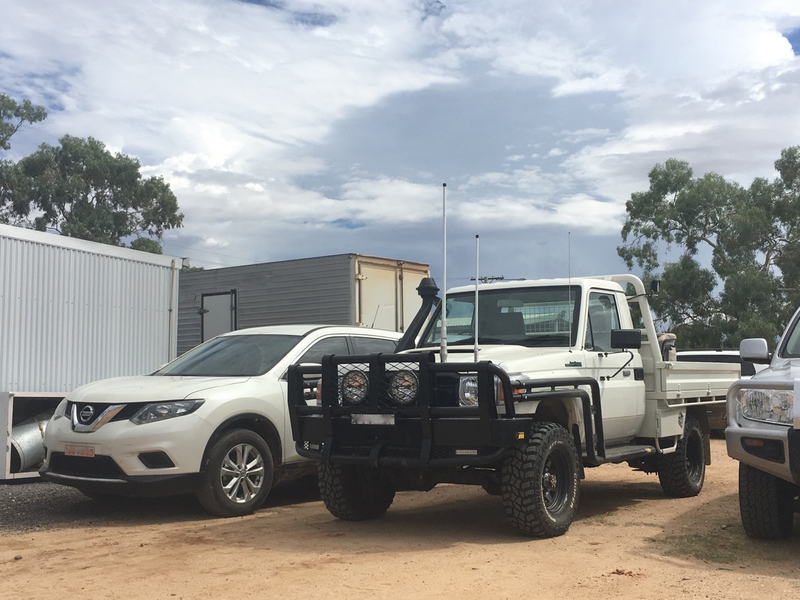 My motto in the Australian Outback is: “Never leave a petrol station without a full tank and full jerrycans.” You never know what may happen and which detours you will have to take through tough terrain which drinks a hell of a lot more fuel. So, we leave Packsaddle fuelled up to the brim. And this is where things may get a little difficult. 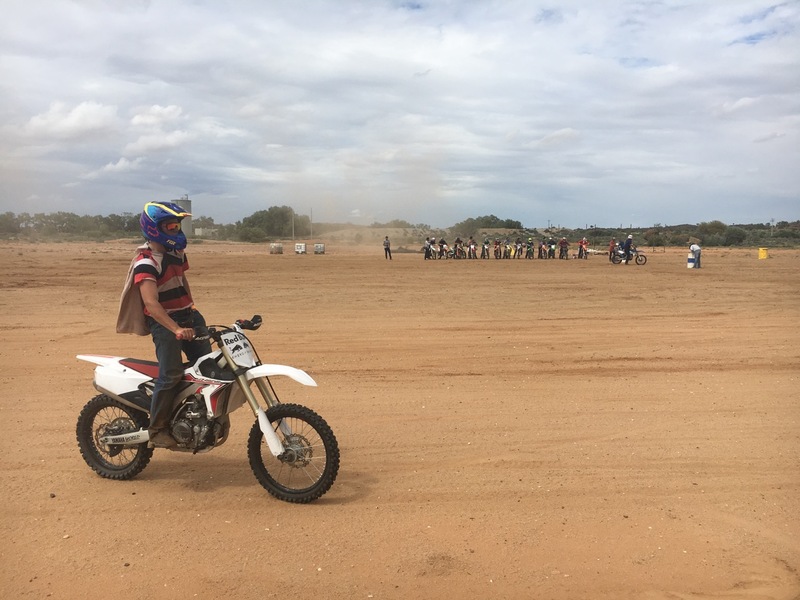 The dirt track to Tibooburra is open, but for 4WD only. That still suits us but it also means we need to brace ourselves for some hairy driving. 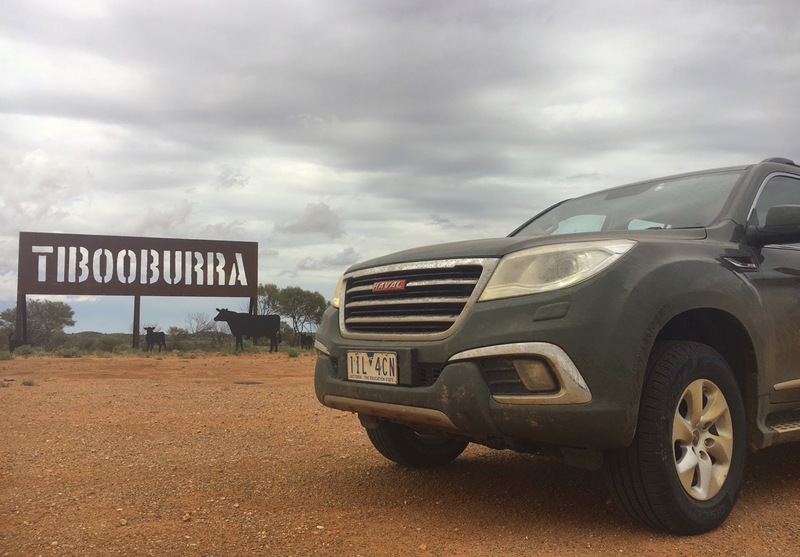 As opposed to Damo, the Haval H8 we drove through the Birdsville Track, our H9 Ivanohe is what Aussies call a “real” four-wheel-drive with 4WD and low range modes as well as different settings depending on the surface you are going through (mud, sand, snow…). Technically, this means any mud passing should equate to child’s play, but we’ll wait and see. Looking into the car’s manual explains a little bit more: the sand mode is described as “suitable to driving in the Gobi desert or in other deserts”. Well if my exploration of the Gobi desert in 2013 (see full Trans-Siberian series here and the Mongolian part here) is any indication, this should be more than enough to attack any sandpit that is thrown at us. Ivanhoe mudding it up before Tibooburra. Underbody failure and Tibooburra Police sponsored fix. But we’re far from Tibooburra just yet. Indeed, a few too many mud baths proved fatal to Ivanohe’s underbody protection which dislodged itself the same way the H8 did on the way to Birdsville. Problem is, it now rattles against the ground, requiring us to re-attach it. We sacrifice a couple of t-shirts to from a makeshift cord (Survivor here we come) but it fails to maintain the underbody attached to the vehicle (maybe no Survivor after all). Then, as a divine apparition or just straight from the movie Fargo, the local policeman that stopped us half an hour ago is back, and parks just in front of us. 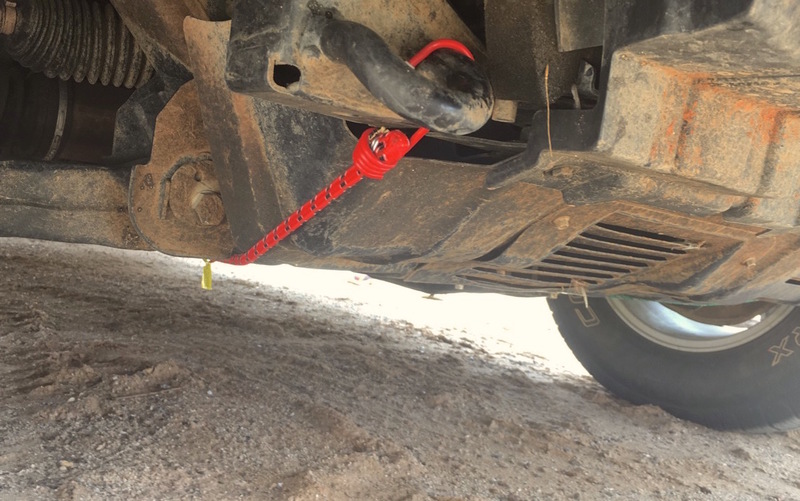 “What seems to be the issue here?” We show him, and he pulls a couple of bungee straps to help fix the underbody. Thank you Tibooburra police. We’ll return them to him and buy new ones in Tibooburra. We are now set. Ivanohe has arrived in Tibooburra. Instead of this… …we got this. But it was entertaining all the same. The Tibooburra Hotel directs us to the “Stadium” for some food. And this is where it all starts to click together. 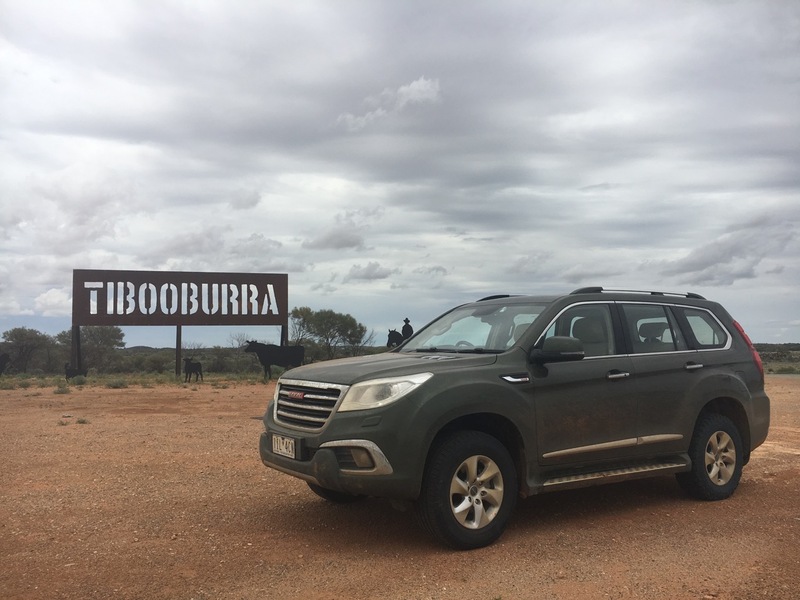 All through our journey from Mildura to Broken Hill and onwards we have heard about a New Year’s Eve rodeo happening in Tibooburra. Here we now are, right in the middle of Tibooburra action, or more accurately Tibooburra Gymkhana and Rodeo New Year’s Eve. Cow-boy hats, checkered shirts and jeans are the norm here despite the heat and it truly is the event that brings the community together, a heartwarming sight. A handful of steak sandwiches get us back on track, and we are explained that the rodeo part of the festival won’t be happening as the cattle got stuck on the way because of the floods. Instead, we got to watch the gymkhana of motorbikes and were entertained all the same. 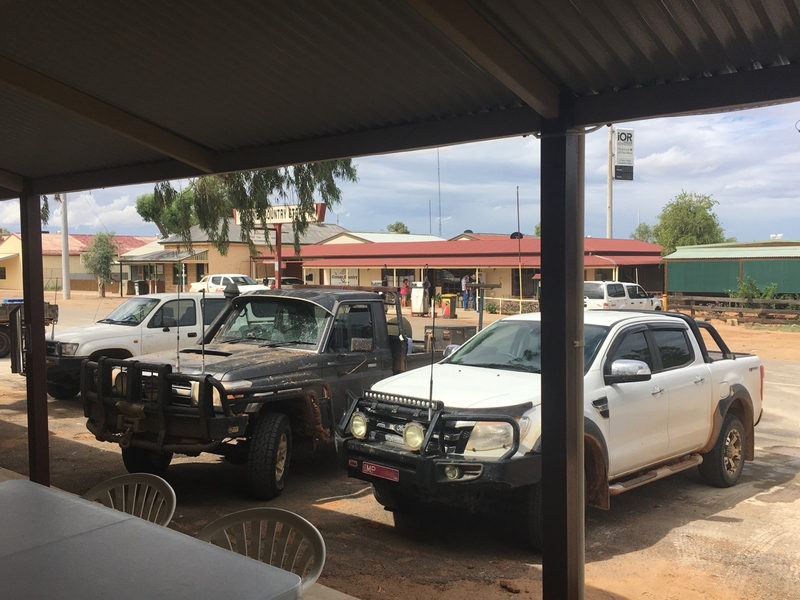 How about the cars in Tibooburra? 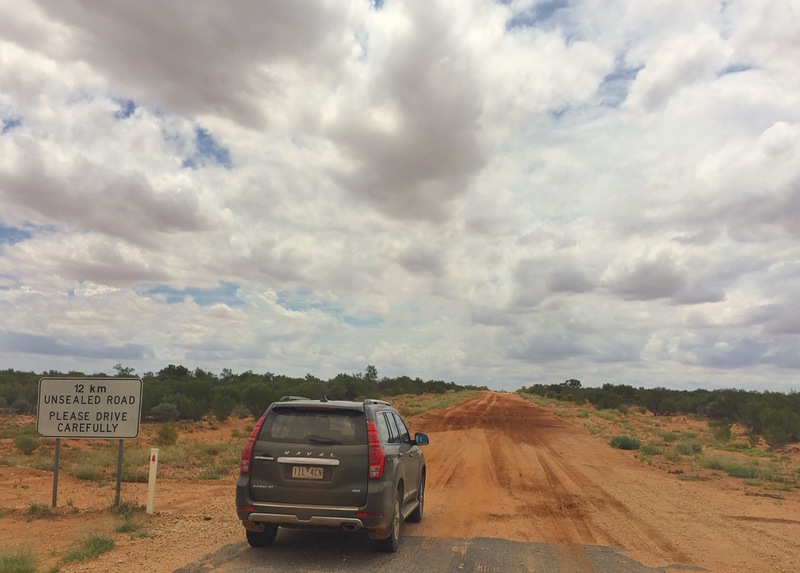 Given the road was almost completely paved on the way, Tibooburra isn’t strictly a 4WD town per se, with a few 2WD and AWD spotted such as the Nissan X-Trail pictured above. But these are the exception and most vehicles in town are heavily modified 4WD with a preference for the Toyota Hilux, Ford Ranger and the icon of the region, the Toyota Land Cruiser ute. Stay tuned for Part 4 of this series coming shortly!